Human Aichivirus A (AiV-A) is classified as a Kobuvirus, group IV positive sense single strand RNA viruses. The first outbreak of AiV-A was reported from Aichi Prefecture, Japan in 1989. AiV-A exists not only among clinical patients, such as diarrhea, but also in a variety of water environments, as its occurrence is reported across a wide geographical range, from developing to advanced countries. For diagnose of AiV-A from water samples, mostly polymerase chain reaction (PCR) system have been developed. However, loop-mediated isothermal amplification (LAMP) assay has not been applied. In this study, developed a LAMP method to achieve a rapid, specific and highly sensitive detection of AiV-A. The method developed in this study is aimed specifically at AiV-A. Through a specific and non-specific selection and sensitivity test process for the five prepared LAMP primer sets, one primer set and optimum reaction temperature were selected. A newly developed method was more rapid (approximately 2–8 h), specific and equivalent detection of AiV-A than with the conventional PCRs. In addition, confirm system of positive LAMP reaction was developed by using the restriction enzyme Aci I and Hae III. For evaluation and verification of developing LAMP assay, a was applied to twenty cDNA from groundwater samples. 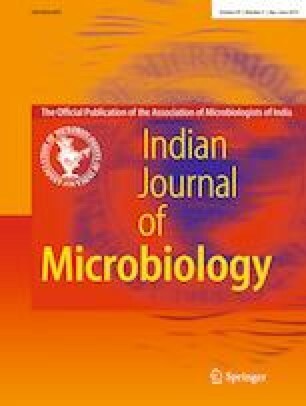 This study proved rapid and specific diagnosis of AiV-A from water samples, and it is also demanded to be applicable to other environmental, clinical and food samples. The online version of this article ( https://doi.org/10.1007/s12088-019-00803-3) contains supplementary material, which is available to authorized users. This work was supported by the National Research Foundation of Korea (NRF) Grant funded by the Korea Government (MSIT) (No. 2017R1A2B1009303).